Whether you are replacing an old countertop in a kitchen or bathroom, or installing a new countertop, the surface that you use is crucial not only in terms of function, but the overall finished look as well as the value that it will add. For starters, let’s think of the most important component of any countertop – durability. You’ll want a product that is going to be able to withstand daily wear and tear while still complementing the overall look of your decor. Quartz Countertops have rapidly grown in popularity over the past decade, particularly in higher-end properties and new construction. Their attractive appearance as well as their durability make them a wise investment in terms of value, and there are an endless variety of colors and styles to choose from. LG Hausys’ Viatera® Quartz Surfaces– Viatera is known for their environmentally-friendly Quartz Surface products that are made of sustainable materials in an eco-friendly manufacturing process. Offering 24% larger than standard slab (119″ x 55″) Quartz Surfaces, Viatera can accommodate larger layouts, such as kitchen islands, with fewer seams. Samsung Radianz Quartz Surfaces – A leading innovator in technology for years, Samsung’s Quartz Surfaces combine natural, earth-friendly beauty with state-of-the-art scientific insight and engineering. With uniform color and texture throughout the entire surface, what you see is what you can expect to get. Caesarstone Quartz Surfaces – Caesarstone quartz surfaces combine of nature’s beauty with state-of-the-art technology, offering a non-porous surface that is scratch and stain resistant. Retaining its natural beauty without sealants and almost maintenance-free, Caesarstone quartz surfaces are four times as strong as granite with double the impact resistance. DuPont™ Zodiaq® Quartz Surfaces – DuPont Zodiaq Quartz is designed for performance and aesthetics, engineered with pure quartz crystals to provide a unique surface that is visually striking as well as durable. Silestone – Silestone is the world’s leading producer of quartz surfaces, that are designed for a high-end appearance, as well as offering a certified, transferable 15-year warranty. 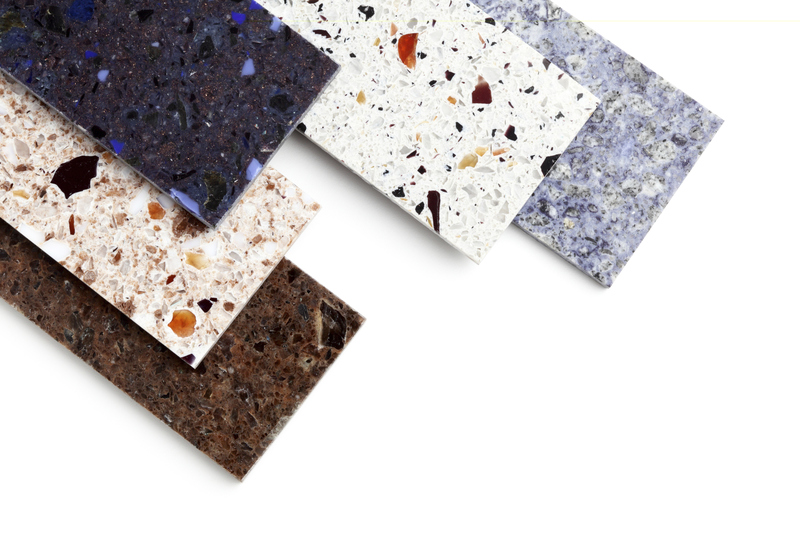 Offering a wide range of colors and styles, Silestone offers a quartz surface guaranteed to accommodate any decor. For more details regarding these and other kitchen and bath countertop solutions, contact Lexmar USA. Lexmar has been providing the highest quality kitchen and bath product solutions products at the best value in the Pittsburgh and Western Pennsylvania area. Based out of McKeesport, PA, Lexmar’s aggressive pricing models and industry contacts insure that you are getting the best quality quartz countertops at prices that you can’t beat. For more information on Lexmar’s kitchen and bath products, contact them today, where their expert professionals will be more than happy to answer any questions or discuss your unique project.